Robert Treat Paine was born March 11, 1731 on School Street, Boston, near the site of Old City Hall, and was baptized at the Old South Church by Reverend Thomas Prince. He was the fourth of five children of Reverend Thomas Paine, Harvard College 1717, pastor of the Congregational church at Weymouth, Massachusetts, and Eunice Treat, daughter of Reverend Samuel Treat, Harvard College 1669, and Abigail Willard. Unusual in his generation in New England for having a middle name, Robert Treat Paine was the namesake of Robert Treat, father of Samuel, who was governor of Connecticut for many years and a founder of Newark, New Jersey. Paine’s great grandfather, Reverend Samuel Willard, Harvard College 1659, had been the second minister of the Old South Church and vice president as well as acting president of Harvard College. Paine was a sixth-generation descendant of Stephen Hopkins, the only passenger on the Mayflower who had also lived in Jamestown, Virginia, and a signer of the Mayflower Compact. Paine has an impressive family history in the old world as well as the new. Through his great-grandmother Rebecca Winslow he was reportedly descended from William the Conqueror, Charlemagne, Alfred the Great and Magna Carta Baron Saire de Quincy. It is now believed that Robert Treat Paine’s great grandfather Thomas Paine of Yarmouth and Eastham, Cape Cod, a millwright prominent in community and colony affairs and born in 1612, emigrated from England in 1635 with his wife Elizabeth and was the son of Queens College Cambridge-educated vicar Thomas Payne of Hernhill, Kent, whose family hailed from Great Yarmouth, Norfolk, in East Anglia. Reverend Thomas Paine had left full-time ministry in 1730 when he moved the family to Boston and eventually entered business as a merchant. He continued to preach from time to time in Weymouth until 1734. In his new calling as a merchant, he initially prospered. Finishing Boston Latin School at the top of his class, Robert Treat Paine entered Harvard College at the age of fourteen. Besides forming a literary club with friends, he had a great interest in scientific matters, went “to see the Electricity” and became interested in clock making. Paine lived with the college chaplain, Reverend Nathaniel Appleton. Unfortunately, just as he was graduating from college in 1749, his father lost his fortune, and he was left to make his own way in life. After teaching school for a year in Lunenburg, Massachusetts, and then in Boston, he made three voyages to North Carolina in 1751-54, acting as master, and in the last sailed as far as Fayal and Cadiz. In Philadelphia between voyages he met many influential people and was particularly intimate with the Franklins. While in North Carolina he wrote President Holyoke of Harvard asking to be awarded the Masters of Arts degree in absentia; his request was granted. In 1754, as Captain of the Seaflower, he led a whaling expedition from Cape Cod to Greenland and left behind what is believed to be the earliest illustrated log of a whaling venture kept by an American. Unfortunately, none of his mercantile ventures proved to be rewarding. In 1755, he commenced reading law with his relative Judge Samuel Willard in Lancaster, Massachusetts, and while pursuing his studies preached at Shirley. When Willard was appointed Colonel for the Crown Point (New York) expedition during the French and Indian War, Robert Treat Paine served as a chaplain of the regiment and encamped at Lake George for three months at the end of 1755. 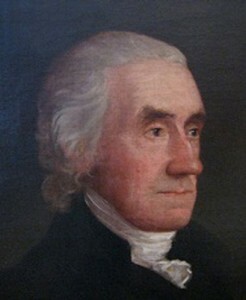 In early 1756 Paine visited his father in Halifax, Nova Scotia, in August went to Connecticut on family business, and by the fall moved to Boston to resume study of the law under Benjamin Prat, later chief justice in New York. In 1757, Paine was admitted to the Massachusetts Bar, the same month that his father died, leaving behind debts to collect from Nova Scotia and the West Indies and heavy family responsibilities. At first he considered establishing his law practice in Portland, Maine (then Massachusetts), but settled in Boston. He frequently rode the circuit attending court sessions in Cambridge, Plymouth, Barnstable and Worcester, York and Portsmouth. Pushing himself at some cost to his health, Paine qualified for practicing before the Superior Court in 1758. He and fellow lawyer John Adams were already keen rivals. In 1761 Paine moved to Taunton, Massachusetts, where he almost immediately became a leading citizen, justice of the peace in 1763, barrister in 1764. There he resided for twenty years. His attendance of regional court sessions on the circuit continued unabated. He was respected as a fair man with an admirable dedication to his profession and devotion to his community, which repeatedly elected him Town Moderator. Paine was tall in stature, blessed with a deep voice and a serious and frank manner. His great powers of mind, profound knowledge of the law and habits of thorough investigation quickly brought him a large practice, with important clients, among them the painter John Singleton Copley. Robert (1770-1798), Harvard College 1789, unmarried. The second son (Thomas, later Robert) became a talented writer and author of a famous early patriotic song, Adams and Liberty (1798). Unfortunately, he had a falling out with his father when he married an actress against his father’s wishes. The third son (Charles) also became a lawyer, and law partner of Harrison Gray Otis. He lost a fortune in a “mercantile adventure” and died young, leaving his wife Sarah Sumner Cushing, a lawyer’s daughter and one of the most beautiful women in Boston, as a single parent raising four children, including Charles Cushing Paine, progenitor of a large number of Robert Treat Paine descendants. Robert Treat Paine’s growing dedication to the patriot cause began as early as 1766 when he celebrated the repeal of the Stamp Act. In 1768, Paine served as Taunton’s delegate at the provincial convention held in Boston to discuss the landing of British troops in Boston. Despite the governor’s efforts to prohibit such a meeting, the delegates remained for several days, discussing their grievances with the provincial government. This meeting served as an early warning that the Boston area colonists would act in their own best interests even when those interests stood at odds with those of their leaders. At that time, Paine did not believe that separation from England would be necessary, but his participation in the meeting demonstrated his support of colonial rights. Only two years after this historic meeting, events in Boston ignited the passions of colonists in what became known as the Boston Massacre. On March 5, 1770 a verbal exchange between a British soldier named Captain Lieutenant John Goldfinch and a colonial apprentice named Edward Garrick took place on King Street (now State Street) This argument heightened tensions between the colonists and soldiers and led to a physical exchange later that afternoon, when Garrick returned to King Street with supporters, in front of the Town House (now called the Old State House). The angry group directed all of their frustration at the first British soldier that they found, Hugh White. Along with their insults, the colonists hurled snowballs and oysters. White retaliated by striking Garrick on the head with his musket. As passersby joined the scene to form a crowd nearly four hundred strong, nearby British soldiers including Captain Thomas Preston arrived to address the very real prospect of a riot. Some witnesses claimed to have heard the British utter word the “Fire!” but the claims were unsubstantiated. All that is known is that moments after shots were fired, eleven colonists were injured. Three of them died instantly, and two died shortly later. Captain Preston was acquitted and the other men on trial were either acquitted or convicted of manslaughter. Even though Paine’s side did not prevail, the Boston Massacre trial had put him on the map. Reverend Goodrich claims that, from the limited court transcripts in existence, “it appears that [Paine] managed the cause with the highest reputation to himself, both in regard to his honor as a faithful advocate, and at the same time as a friend to the just rights of those against whom he acted as council.” In the end, the events surrounding the Boston Massacre were hugely influential when it came to the development of the colonial spirit and desire to separate from England. After the trial Robert Treat Paine became even more involved in the patriot cause. He was a close political friend with James Otis. In 1773, when Taunton joined in the Boston Committee of Correspondence that was the brainchild of Sam Adams, Paine was chairman of a large committee in Taunton on grievances and drafted the high-toned resolutions that were passed. He represented Taunton in the Provincial Congress in 1774 and 1775 and prepared in whole or in part the addresses and reports relating to the removal of the Governor and impeachment of Chief Justice Peter Oliver for receiving his stipend from the king instead of from local government. In 1774, Paine attended the first Continental Congress, voted for by members of the Massachusetts General Court after he maneuvered the absence of a loyalist committee member, his neighbor Daniel Leonard, who otherwise would have tipped off the Governor, who in turn would have dissolved the General Court. Paine was among the members who were hesitant to cut ties entirely with their mother country and hoped that the formation of the Second Continental Congress would show the British a united colonial front, thereby leading them to negotiate. Even after the Battles of Lexington, Concord and Bunker Hill, Paine fervently hoped that peace could be maintained and in July 1775 signed the Olive Branch Petition that was sent to King George III as a final attempt to reduce the friction with England. The King’s rejection of the Olive Branch Petition proved to be a turning point for the colonists. Many who had been on the fence about the prospect of war realized that the King would not negotiate and that without action there would be no change. Robert Treat Paine may not have been among the original supporters of war with England, but after the rejection of the Olive Branch Petition, he acknowledged its inevitability. July 4, Cool. The Independence of the States Voted & declared. The day before yesterday the declaration of American independency was voted by twelve colonies agreeable to the sense of the constituents, and New-York was silent, till their new convention (which sits next week) express their assent, of which we have some doubt. Thus the issue is joined; and it is our comfortable reflection, that if by struggling we can avoid the servile subjection which Britain demanded, we remain a free and happy people; but if, through the frowns of Providence, we sink in the struggle, we do but remain the wretched people we should have been without this declaration. Our hearts are full, our hands are full; may God, in whom we trust, support us. My Dear, I rec’d yours of July 5th. & the declaration for which I thank you for I have been Longing to See it this Some time. Thursday 18th. This Day at 1 o’Clock was declar’d the Independence of America, from the Bellcony of the Townhouse in the presence of Thousands. A Regiment of Continental Troops & our provincial Train of Artillery, in the firing of platoons and Field pieces, hail’d the rising Empire, whilst the different Fortresses in the Harbour, wafted the joyfull sound to Heaven in Thunder, smook & fireâ€”emblimatical of its presirvation. The Day was clos’d with a Bonfire made of all the Ensigns of Royalty that cou’d be collected. I wish the Inhabitants of the United States were more intent upon providing and manufacturing the Means of defense, than making Governments with[ou]t providing for the means of their Support. Paine was successful in his efforts and a number of government-controlled mills were established, ensuring that the colonists were well equipped to fight against the well-supplied British army. He was elected to Congress for 1777 and 1778 but did not again attend. Before, during and after the war, Robert Treat Paine remained involved in government at the provincial or state level. Between 1773 and 1778 (except busy 1776) Paine represented Taunton in the Massachusetts General Court (House of Representatives) and was Speaker of the House of Representatives in 1777. In 1778, as a bitter foe of inflation and paper money, Paine worked to address the depreciation of the continental currency. In that same year Paine also played a key role on the committee that first drafted a state constitution that was not adopted, and was a delegate to the constitutional convention and member of the committee that drafted the state constitution that was adopted in 1780. Robert Treat Paine became Massachusetts’ first Attorney General and served from 1777 to 1790. He advised on the confiscation of Tory property and on Shay’s Rebellion and provided strong leadership in a time of financial distress and anxiety over changing social mores. To end the frequent absences necessitated by living in Taunton and working in Boston, notably on the Governors Council in 1779 and 1780, in 1781 Paine moved his family to Boston to live in a gambrel-roofed brick mansion house with an extensive garden, on the corner of Milk and Federal Streets. The lessor of the house, prominent merchant Leonard Vassall Borland, sold Paine the house in 1785. Here the Paines lived the rest of their lives, and their daughters after them. (A bronze plaque with a likeness of Paine has marked the spot since about the mid-twentieth century.) The Paines’ hospitality was generous, and the house was the constant resort of Paine’s numerous acquaintances. “In some parts of the mansion house now may be seen some of the ancient tapestry such as decorated the first mansions of our first sires who came from Europe,” recalled Hannah Mather Crocker in the 1820s. In 1783, Robert Treat Paine was offered a place on the state Supreme Court bench but initially declined, preferring to retain the position of Attorney General. He eventually accepted his friend Governor John Hancock’s offer of an associate justiceship on the state Supreme Court in 1790 and so served until his retirement in 1804. As a jurist, Paine demonstrated a high moral character and extensive legal knowledge and demanded high standards in his courtroom. He was known for “unnecessary severity” in the cases involving hard-hearted criminals but “tenderness” in the instances “where crime was followed by repentance.” Overall, Paine was a highly respected attorney and judge. Paine retired from the bench in at the age of seventy-three due to his increasing deafness. His final public post was Counselor of Massachusetts in 1804. In 1805 Harvard honored Paine with an LL.D. No man loved wit better than he did. He often appeared lost in profound thought but could relax in a moment at the sound of a witty speach. His memory is held in remembrance with venaration love and respect by the present author…. Robert Treat Paine enjoyed a peaceful retirement and died in 1814. He is buried in the Granary Burying Ground in Boston, two short blocks from his birthplace. In 1802, at age seventy-one, Paine sat for artist Edward Savage, but the portrait – the only one taken from life – was finished by John Coles, Jr., in 1822. John Trumbull relied on the portrait in his iconic painting Declaration of Independence, commissioned in 1817 and now hanging in the Capitol Rotunda. In the painting, toward the rear of the chamber, in a row of ten seated figures, Robert Treat Paine, in a dark coat, is the sixth seated figure to the left of John Adams. A copy of the Edward Savage portrait by noted painter Chester Harding ca. 1835 still hangs in Faneuil Hall; it was donated by Robert Treat Paine (1803-1885) the Astronomer, a grandson of the Signer. For the Philadelphia Centennial in 1876 Paine’s great-grandson General Charles Jackson Paine donated a second copy of the portrait, this one by Richard M. Staigg, to Independence Hall. A statue of the Signer, by sculptor Richard Brooks. 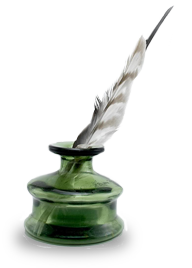 The about-to-be-Signer is pensively holding a quill, exuding resolve. Attending the dedication ceremony on Church Green on November 15 were the Signer’s chief concentration of local descendants, all through Charles Cushing Paine, son of Charles Paine who had made the 1801 oration. On the Mall in Washington, D.C., near the Washington Monument, is a small park and lagoon dedicated in 1984 to the memory of the signers of the Declaration of Independence, and one of the 56 granite blocks there is engraved with the signature of Robert Treat Paine. In 1940 and 1954 descendants of General Charles Jackson Paine, who had inherited the Savage portrait and papers of Robert Treat Paine, donated them to the Massachusetts Historical Society, the nation’s first historical society. In 1992 the Society published the first two volumes of The Papers of Robert Treat Paine, and in 2005 the third, out of the projected five volumes. As for this Signer’s signature on the Declaration of Independence, although Paine has been alleged to be the only Signer whose signature shows a slip of the quill, as there seem to be two “e”s in Paine, the second loop is actually a flourish; other surviving samples of Paine’s signature also include a flourish (or paraph) after the letter “e”. Biography first written by Brigette Henk, 2008. Edited and expanded by Thomas M. Paine, sixth generation descendant of Robert Treat Paine, 2011. Cameron, James R. Guide to the Joseph Palmer Papers (Quincy, MA: Quincy Historical Society, 1978) includes excerpt of Paine’s 6 July 1776 letter to Palmer published in the New York Review & Atheneum Magazine, 11, 449-450. Colonial Hall, includes Goodrich, Rev. Charles A. 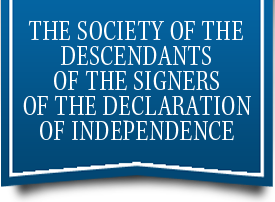 Lives of the Signers to the Declaration of Independence, 1829. The principal repository of papers of Robert Treat Paine is the Massachusetts Historical Society, Boston, MA. This entry was posted in Massachusetts, Signers by state. Bookmark the permalink. Isabel, I would encourage you to consider membership in the Society. Your name does not presently show up on our genealogical records which indicates your application could enlarge our knowledge of the family. Andrea, how exactly are your connected to the Signer? You may be interested to know that Robert Treat Paine had an older brother with the same name. He was born and died in 1727 in Weymouth MA, where his remains are interred with his brother Thomas, who also died as a child. From the Waldo Sprague Files, copied July 1953, ” Intombed in this vault are Robert Treat Paine, born Oct. ye 9th, 1727 and died ye 21st of ye same month, and Thomas Paine born July ye 3 1729 and died Augt ye 19 173? both of them successively ye sons of Thomas Paine Pastor of this Church”. Was intrigued to discover that this ancestor is also related to the Mayflowers Stephen Hopkins who happens to be my great great great great great grandfather on my fathers “mother’s” side. So now both my father’s parents share Stephen Hopkins as an ancestor. This is pretty cool! Fascinating history and to realize it’s part of mine is astounding! I am the granddaughter of Julia Paine, from Charles Jackson Paine. Elizabeth, I encourage you to consider membership in the Society for you and for Bret, Michael and any grandchildren. That is the best way to preserve the data in the branch of the family tree, and to introduce you to cousins you may not have met. Andrea, what is the link between you and this Signer? Without names and dates it is hard to say. I am related to Robert Treat Paine, but not a descendant. His grandfather Samuel is the brother of Mary Treat whom I am a direct descendant through my fathers, mothers family (my grandmother). Mary is the daughter of Robert Treat who was Paines great-grandfather. It has been fascinating to learn about this man whom has blood lines with my family.